This book was really exciting . The zompoc in old New England from an altogether new source. See the struggle as it might have been a couple of hundred years ago. Loved this tale of the zombie apocalypse hitting colony America! Looking forward to reading the newest Lingering book. Fills the time waiting for The Walking Dead on tv for zombie addicts! Ben delivers the "zombie fix"for this zombie lover! I hope this series continues into a longer series! 5.0 out of 5 starsMake haste and load your musket !!! And what an outbreak it was !!! 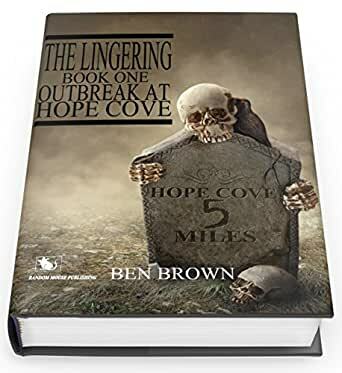 I have always imagined what it would be like if a zombie out-break would happen during the colonial period, this book brought that to life for me. I thank you Ben. 5.0 out of 5 starsA good Sequel to the Lingering. This authors Poton Setan was the first book I downloaded and read on my Kindle and I've been a fan every since. It was such an exciting and unusual story I read it at one sitting and then enjoyed all his following ones. The stories are all quite different but I was reluctant to read his Lingering stories; having been trapped in a room, unable to escape, with rotting flesh I was not at all keen remember the smell or to read anything about Zombies -in case my memory filled in some very unpleasant stench. But this was Ben Brown and I decided if I had to suffer a Zombie then it might as well be his. Why his? Well the most important theme in all the author's books is honour and bravery and I knew no matter how terrifying the story might be, I'd feel that sense of humanity he is well-known for; so I jumped in. I read the first Lingering as quickly as all his others; not once was my memory assailed by that dreadful smell. The first was set in an alternate London and then Australia; a colony for quite a different reason than our penal beginning. This sequel is likewise set in what was once a British penal colony before it took on its own governance, the east coast of America. We have scenes of terror, sadness and great bravery and first and foremost humanity; no matter the terror, the insurmountable odds of surviving as a human; of saving their world and their loved ones.